BlameLinus Pauling. Actually, to be fair, the idea of injectable vitamins precedes Pauling. But Pauling, with two Nobel Prizes, brought attention and interest to vitamin C far beyond what any evidence suggested. He seized on the observation that many species can produce their own vitamin C, while humans, apes and some other species lack this ability. Pauling surmised that some disease may be due to vitamin C deficiency, which could be addressed with massive supplements. Linus moved from vitamin C for colds and on to vitamin C for cancer, teaming up with surgeon Ewan Cameron to conduct a clinical “trial” which claimed efficacy but was so poorly designed no conclusions could be drawn. He continued to tout the potential of vitamin C, wrote a few books on the subject, and founded the Linus Pauling Institute of Medicine, creating the foundation for the entire “orthomolecular” pseudoscience you see today. (Orac has more.) Unfortunately, it seems Pauling was a victim of Nobel disease, where prize-winning scientists subsequently become enamored with scientifically unsound ideas. At the time of his death in 1994, Pauling’s vitamin C theories were considered quackery within the scientific community, but those ideas had gone on to be embraced and widely promoted by complementary and alternative medicine (CAM) purveyors. We can create a IV infusion or if in a hurry and need a quick boast. We have specially designed a push that takes 7 minutes. 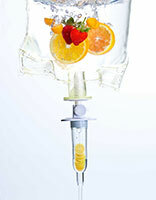 At HB of knightsbridge we can create an IV vitamin Infusion drip that is bespoke for your needs. Want help to get your weight back on target. Feel an emotional imbalance or is life just causing you stress. Would you like to build up your resistance to seasonal colds and flu. Or perhaps you simply want to ensure that your body isn’t drained of essential vitamins and minerals. There are many beneficial reasons to having a 25 minute IV Infusion. We can visit your home or office or come to our Clinic 12 Beauchamp Place Knightsbridge and enjoy the drip and chill lounge. Filled with vitamins and amino acids this IV infusion also contains glutathione, an anti-oxidant that naturally holds many anti-aging benefits including detoxing the skin in order to prevent signs of aging, including wrinkles and crow’s feet. Free radicals are a key factor in skin ageing the combined powerful antioxidants as well as nutrients will boost the production of collagen reverse the ageing process from the inside out. Packed with Vitamin C and Calcium, both very important for supporting the structure of your skin and bones as well as protecting your cells and keeping them healthy. An extensive variety of vitamins and minerals including Copper, a known immunity builder, and D-Alpha Lipoic Acid, which prevents cell damage in the body and restores your vitamin levels. Packed with replenishing vitamins and minerals like L-Carnitine that helps the body produce energy, whilst also reducing fatigue. Loaded with vitamins and minerals, this IV infusion contains Glucosamine, which helps to keep the cartilage in our joints healthy. Dr Myers IV is still the best selling ultimate cocktail of essential vitamins and minerals to treat common nutrient deficiencies that are the root cause for many of today’s ills. The high-octane drip is packed with all the vitamins and minerals you need to beat the energy drain, including essential B vitamins and magnesium that are required by the body for the production and use of energy. Medical information is provided without any warranties ,expressed or implied. We do not represent the IV information is current or misleading. IV is not an alternative to medical advice from your doctor. If you think you are suffering from any medical condition seek immediate medical advice. Do not disregard medical advice or discontinue medical treatment because of our information. 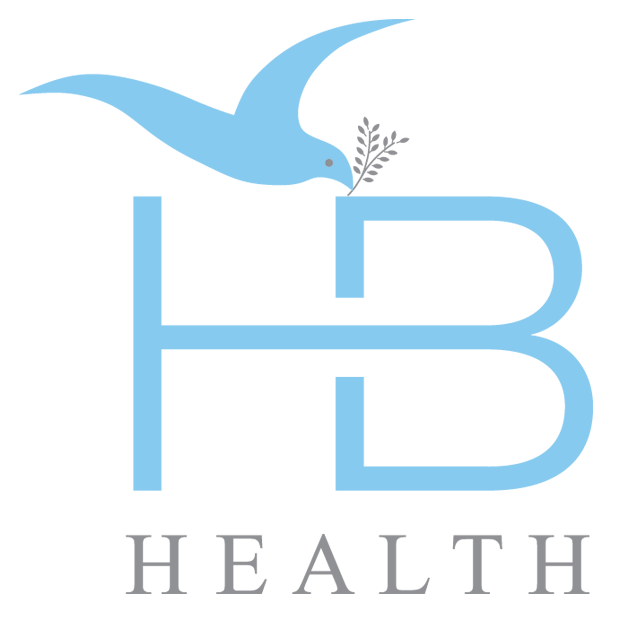 IV treatments will only be provided after completion of a comprehensive medical History. NAD + can only be administreded Under and after a doctors or practicioner comprehensive medical evaluation has been undertaken with HB Health.